Yes – finally we made it. After publishing our new album “SiNS” on different online music platforms (e.g. itunes, Spotify, YouTube,…..) our Extended Play (EP) album is out now and also available as nice silver disk (- mainly on our concerts). Album release show will be at Osters Rudi, Hartwichstr. 26-28, Cologne, Germany, 16th March 2019, Start: 8pm – admission is free. Feedback so far is great! 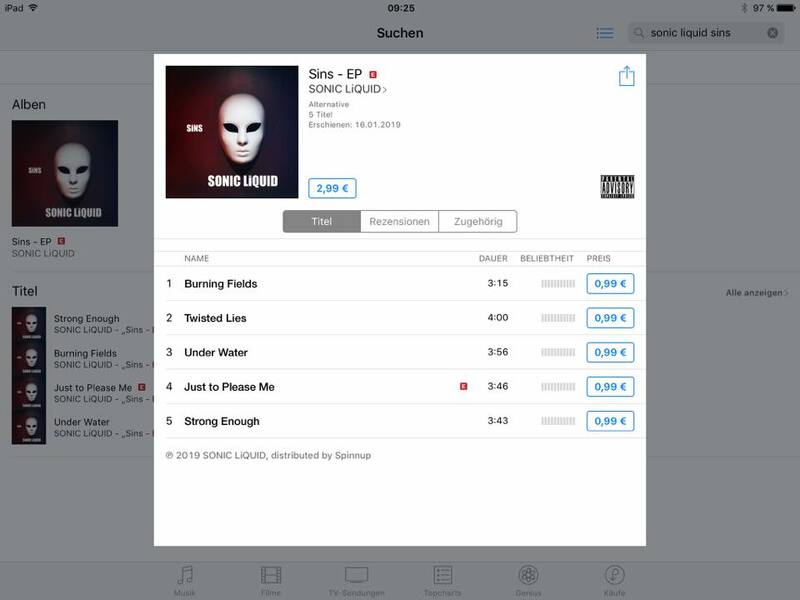 I am very proud to announce that the first Album with 5 songs of my band SONIC LiQUID is now available in all online music platforms (e.g. iTunes, Spotify, Amazon, YouTube…). Of course you can buy a real CD on our next concerts. 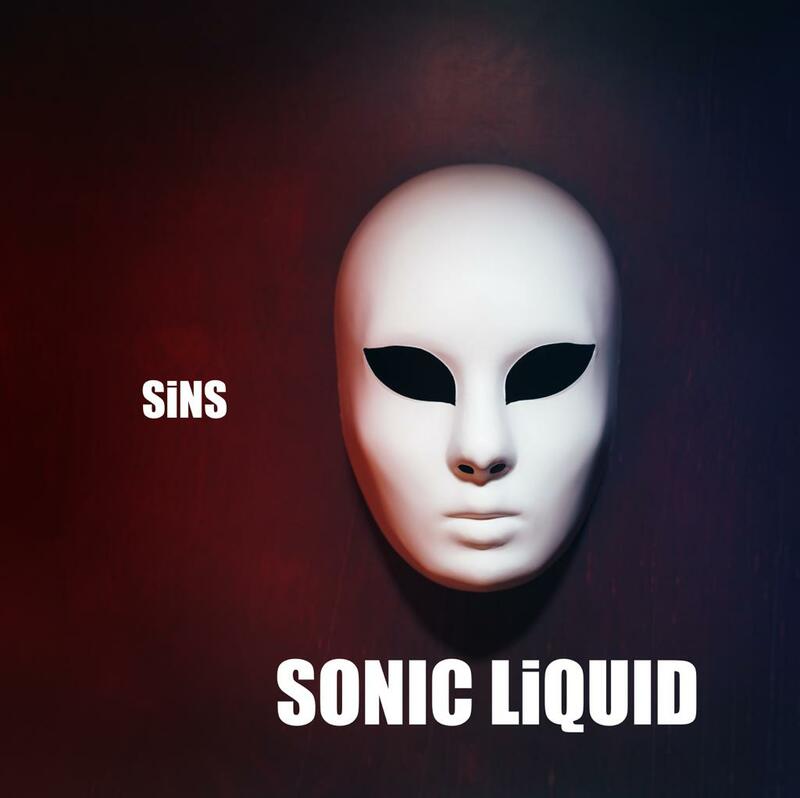 5 SONIC LiQUID songs have been recorded, mixed and mastered and I don’t want to tell you to much. So you’ll find our 1st EP in all platforms soon. Of course you can buy a real CD on our next concerts. Yes – I finally made it: I have finished recording my voice so that we “only” have to finalize the mastering of our 1st EP. A lot of fans asked us when our first record will be available. Now at least I can say everything is prepared :-). 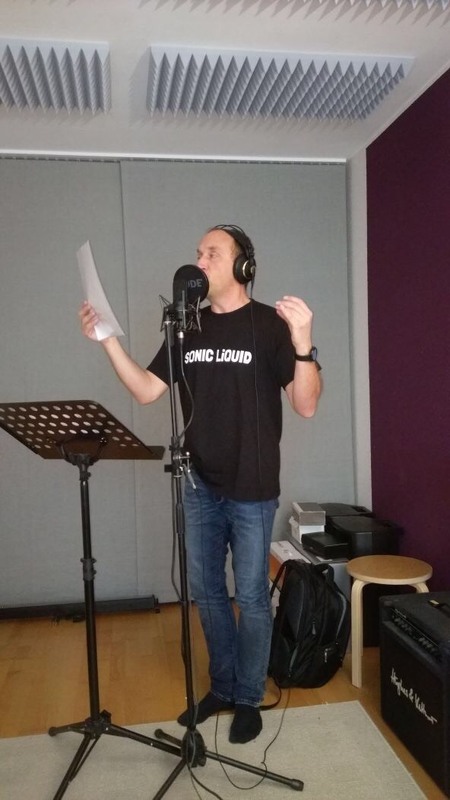 All other SONIC LiQUIDs (Ralph, Armin, Thomas and Jens) had already recorded their instruments respectively, but it really took a long time for me to record my part. Please be patient – this EP will be our first one and so we want to do an excellent job!